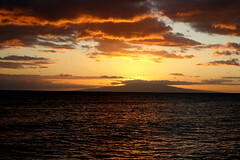 And the sun sets on our Maui stay - on to the Big Island next. Love the colors, great work. I am a network administrator and a photography addict.